When I saw this shirt at a resale shop in Dallas, I just knew it had to be mine. Oh and the fact that it was $19. The funny thing about it was that it was hanging on a rack marked “Vintage” and it was dated for the 90’s. So am I officially old now that clothes from the decade I was born in are considered vintage? Dang. 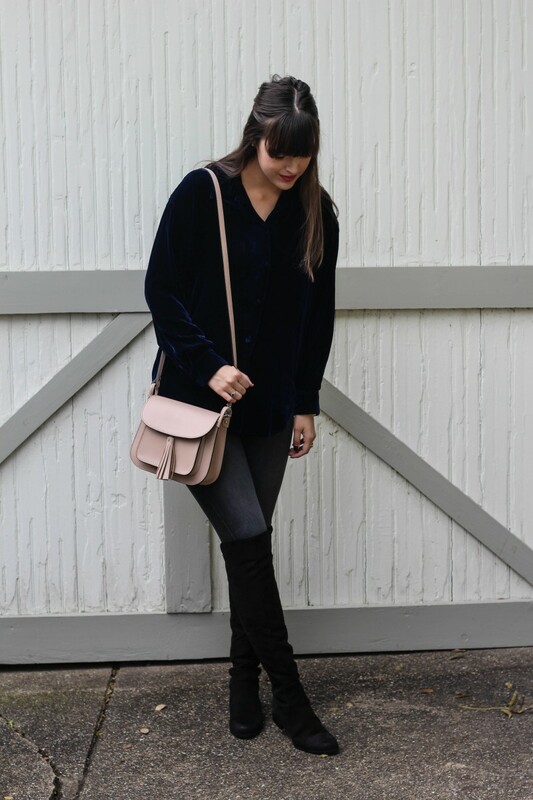 This post is the last of three in a series about different ways to style your OTK boots. Don’t worry if you missed the first two, you can check them out here and here. 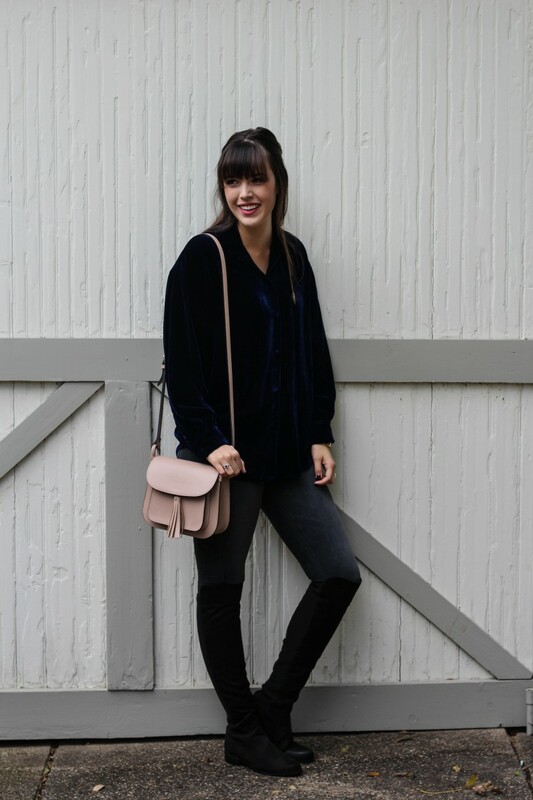 I put this look together because flat OTK boots pair so well with any pair of skinny jeans. They just elevate the look to a sexier, more elegant level. 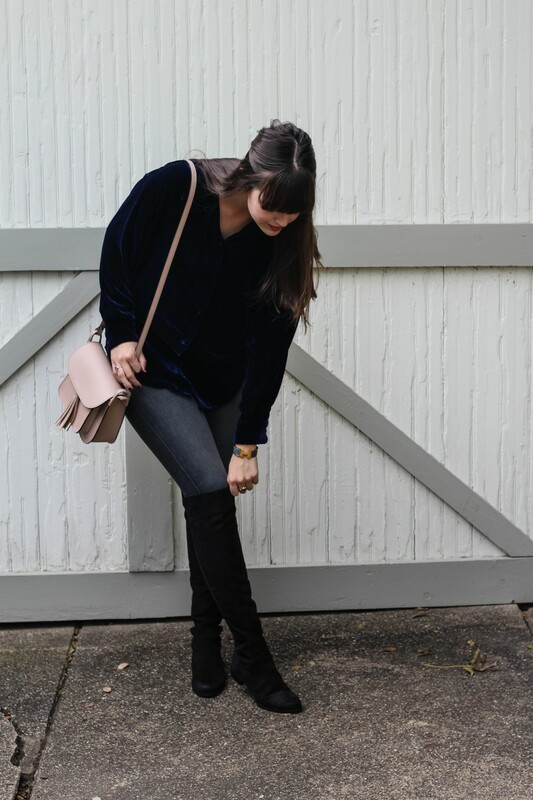 And the added luxe of the velvet is the best! 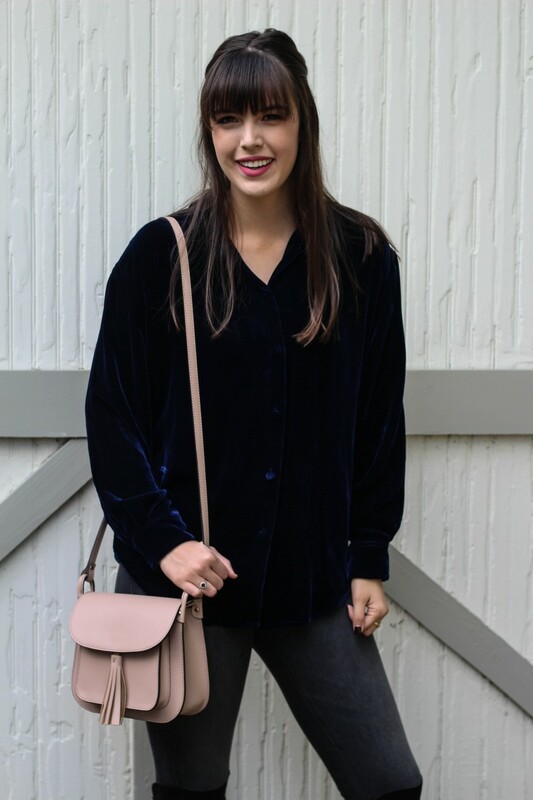 I’m linking some fun velvet items below because I just can’t get enough of this trend. 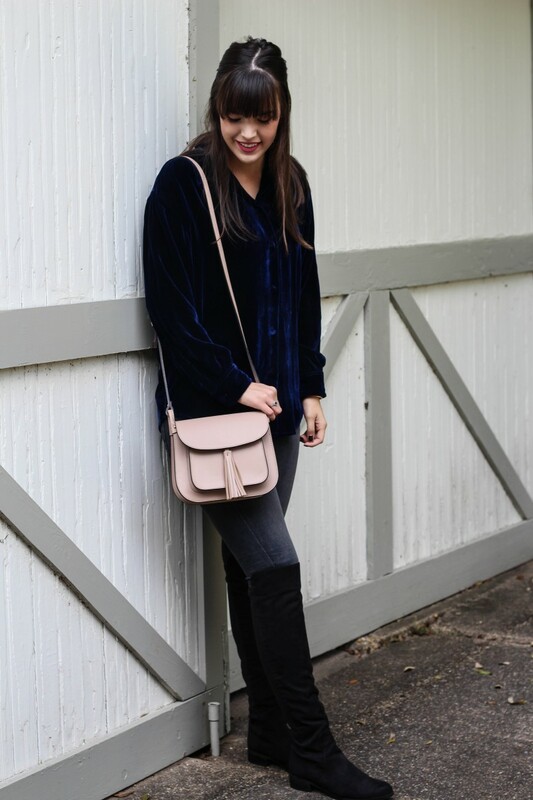 I saw these velvet shoes in Madewell the other day, and they’ve been in and out of my dreams lately to be honest. 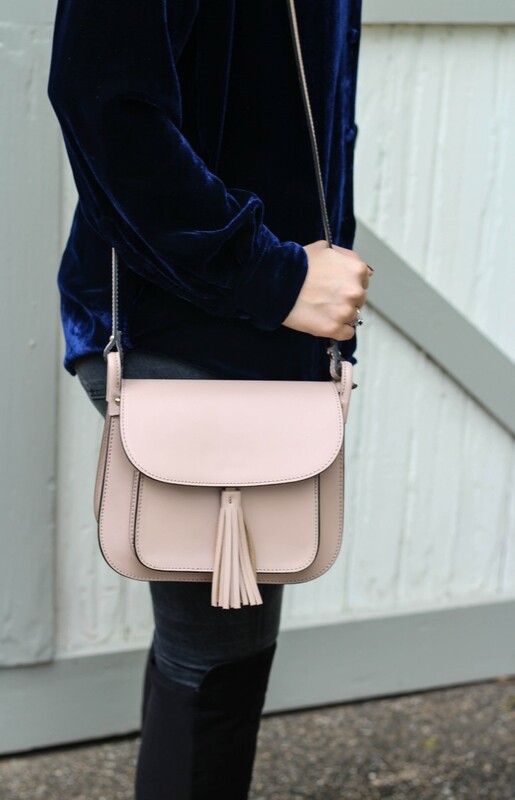 I’m also goo-goo over this new handbag retailer I discovered through Rank & Style! These are Italian made bags at incredible prices – and you get 10% off on your first purchase, #win #win.